Capitalizing on anthropomorphism is not a new story for Disney. In conjunction with Pixar, they introduced a small trash compactor with big heart in Wall-e. They keep reviving the Toys of our childhoods giving them lives and attitudes. Now Big Hero 6 gives the State Puff a huge heart and one prime directive: to protect and keep young Hiro after he experiences a tragic loss. Grief counseling never looked so appealing. 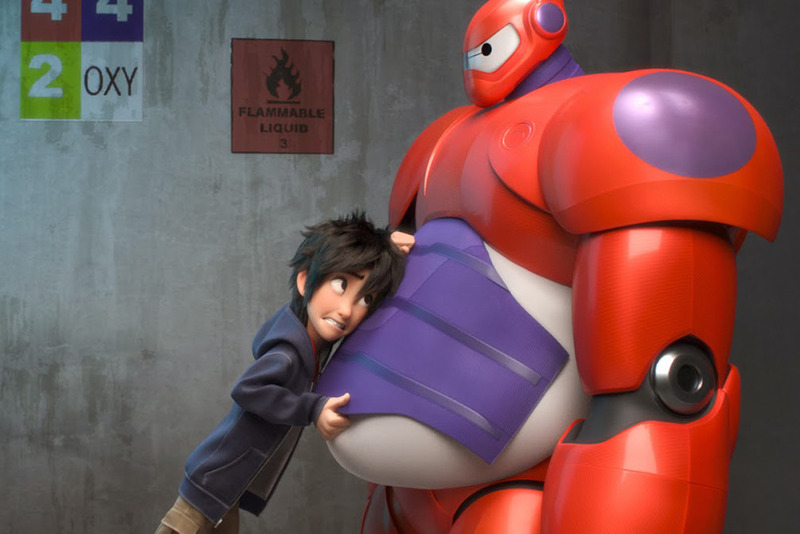 Big Hero 6 achieved what no other A.I. could. Where films like iRobot, Prometheus, Robot & Frank, and Transformers fail to make huggable machines, this film succeeds. 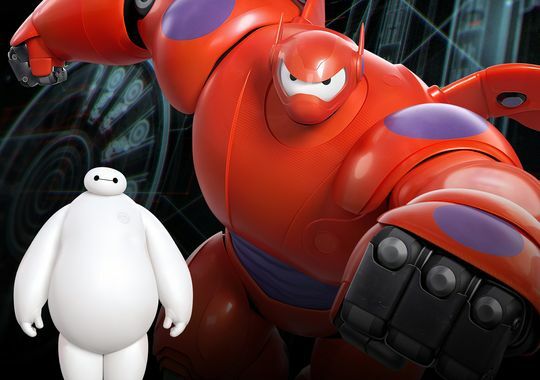 With his program downloaded to help and heal, Baymax brings together the team of six super friends who challenge the lurking evil madman currently threatening the city. Instead of taking out the masked man in a death-match, however, like true heroes they seek restoration and willingly sacrifice in an Interstellar scenario to bring ultimate justice and harmony back to the world. I laughed out loud. I understood Hiro and felt the Baymax hug. This film wraps you up in it, flings you out the window to fly on the wings of adventure landing you back home gracefully pillowed in promise. Oscar well-earned. Good reviews, I follow you. One question: Where did you watch Chappie? I am looking forward to it for long time. Forgive me for including information about a film that I have only seen the trailer for. I broke my own rule doing this. I will edit “Chappie” out until I have seen it for myself. Thanks for reading! Thanks for the review. I agree with all of your points. Are you mainly focused on movie reviews? If you want, could I offer recommendations for reviews? Thanks.